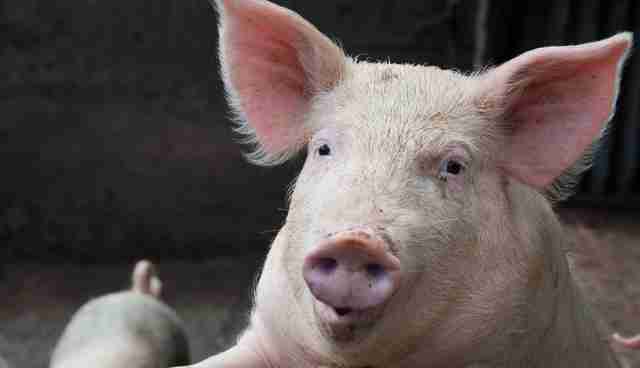 A group of pigs was tied to a table and shot at close range to make their blood splatter. It sounds like a horror movie - but it was just a science experiment. 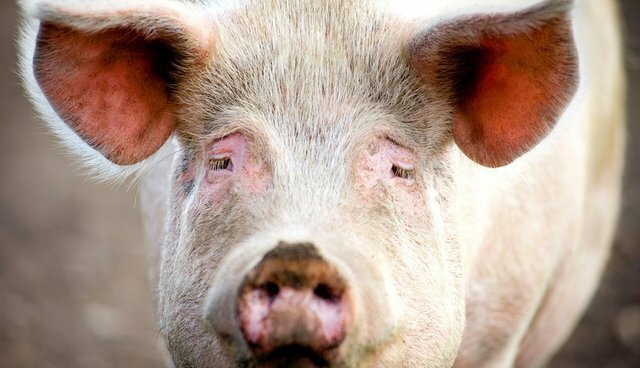 Researchers at New Zealand's Institute of Environmental Science and Research (ESR) published a study in July after tying five live pigs down on surgical tables and shooting them at close range with a Glock semiautomatic handgun. The goal was to make the sedated animals splatter blood, brain and bone shards so that researchers could study the spray pattern. Researchers hoped that documenting the back-splatter of blood and flesh could have applications in forensic science. But animal welfare supporters have condemned the study, and questioned whether the results were even applicable to humans. "Shooting a living being to watch blood spatter is appalling, indefensible and just bad science," Justin Goodman, the director of PETA's U.S. laboratory investigations department, said in a statement. "These contrived studies are indefensible and need to end now because of the cruelty involved, their well-documented inapplicability to humans, and the superior non-animal forensic research methods available." Oddly, even the researchers wrote that "there are anatomical differences between humans and animals that cannot be ignored" in the study. 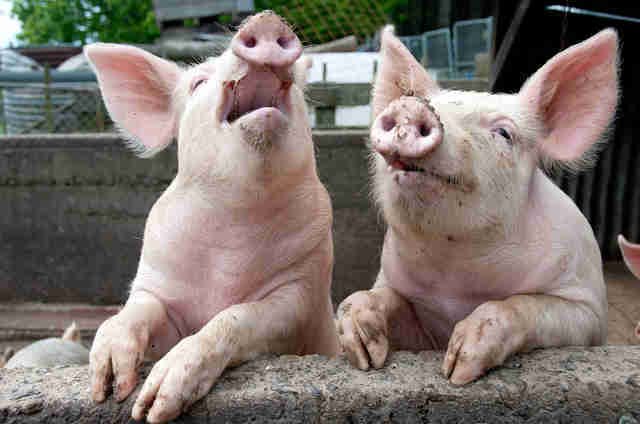 And two of the pigs started to spasm after being shot, partially invalidating the results, according to Stuff.co.nz. 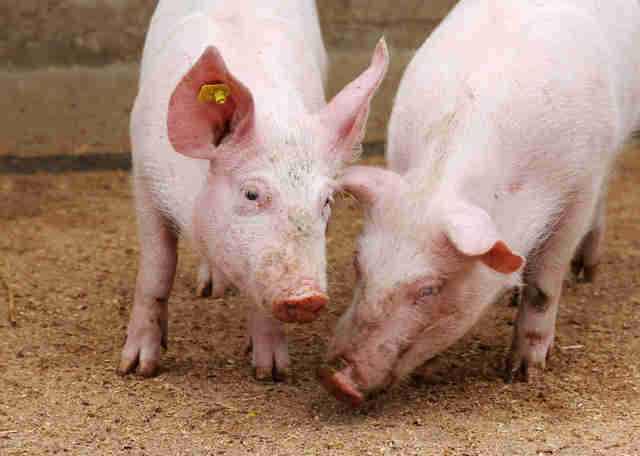 ESR has said that it has no plans to continue the federally funded experiments, but these animals are just a few out of the millions killed each year for research and testing. Animal testing is a complicated issue, but wherever you stand it's clear that many experiments cause more suffering than they're worth. Around 25 million vertebrates - monkeys, dogs, cats, rabbits, rats and more - are killed in U.S. labs each year, often for ineffective or needless experiments. For example, 92 percent of drugs that pass animal trials fail to be approved for humans. Others are thoughtlessly cruel, such as the University of Wisconsin's brutal maternal deprivation research. In those studies, researchers traumatized baby monkeys through tactics like drugging their mothers so they'd think they were dead, or scaring them with snakes, which monkeys are innately terrified of, in an effort to induce psychosis. They then slaughtered them to examine their brains. And it's not just medical research. The U.S. also clings to the outdated method of animal cosmetic testing, killing thousands of animals each year to test lipstick and shampoo, even though places like the E.U., Norway, India, Israel and, ironically, New Zealand have outright banned the practice. But there's good news as well: This week saw the end of chimpanzee testing in the U.S. in a huge victory for animal welfare. The best way for individuals to help is to go cruelty-free, which reduces demand for consumer products tested on animals. To find out more, click here. You can also make a donation to Humane Society International's campaign to end animal testing around the world.